Accusing Gandhi of being irresponsible, Prasad hit back at the Congress president for using strong language against PM Modi. New Delhi: The Bharatiya Janata Party (BJP) on Sunday lashed out at Congress President Rahul Gandhi by saying the leader has ‘Rafale phobia’ after the latter continued attacking Prime Minister Narendra Modi over the fighter jet deal. 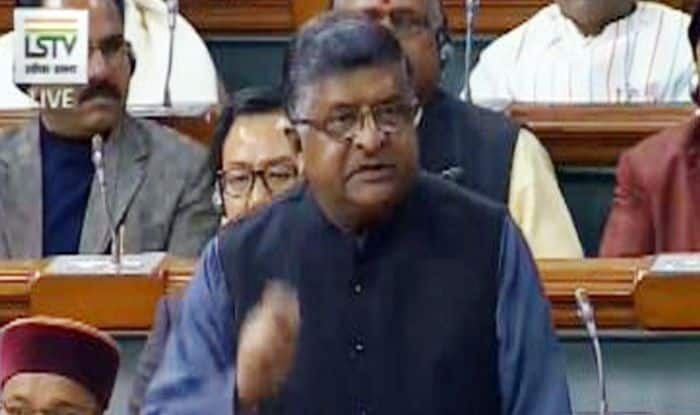 Amping the attack, Union Minister Ravi Shankar Prasad alleged that Rahul was playing with India’s security as the statements made by him were being picked by Pakistani press. Accusing Rahul of being irresponsible, Prasad attacked the Congress chief for using strong language against PM Modi. The Union Minister said Rahul was lying shamelessly and using distasteful language against the PM. Hinting at Robert Vadra who is being questioned by the Enforcement Directorate (ED) over money laundering charges, Prasad claimed, the BJP had refrained from using filthy language. “Rahul Gandhi has Rafale phobia… The kind of language he is using against the Prime Minister does not behove him,” Prasad said. He further accused the Congress-led UPA government of being unable to close the Rafale deal and said it ignored the Indian Air Force’s urgent needs. “As they did not get the commission, therefore they kept it (deal) pending,” he alleged. Rahul Gandhi has been relentlessly attacking PM Modi and referring to him as “chowkidar chor hai” (watchman is the thief). In his taunts over the controversial Rafale fighter jet deal, Rahul alleged, “he was a chowkidar of an industrialist”.